Sea Eagle’s PackFish7™ is lightweight, easy to transport and remarkably steady making it the perfect choice for Larry to target lunkers well off the beaten track. For Larry Lutton, the release of Sea Eagle’s new PackFish7™ couldn’t have come at a better time. Lutton, 69, loves to fish in the beautiful rivers, lakes and reservoirs around Salt Lake City, Utah. 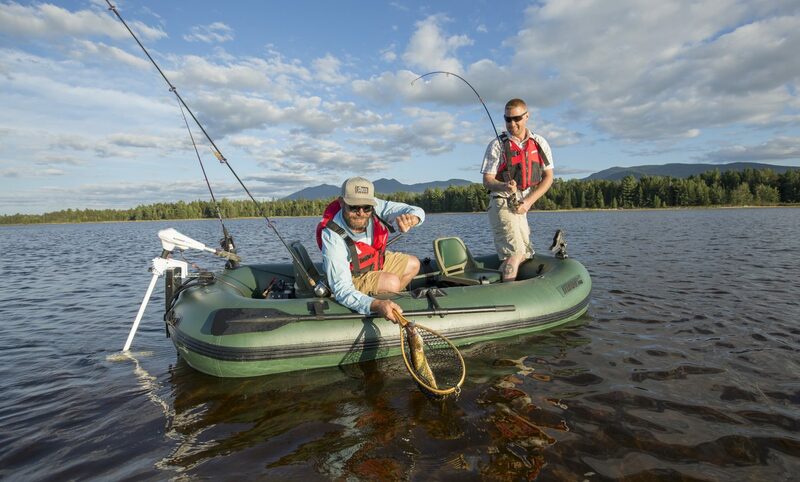 He regularly targets rainbow, brown, brook and tiger trout on these waters with both fly-fishing and spinning gear and now his new PackFish7™ gets him off the shoreline, out among the lunkers in comfort and style. Lutton’s PackFish7™ and SE 370 both fit right on top of his Mini Cooper, making them ideal for a quick and easy getaway to his favorite mountain rivers and lakes. With his new PackFish7™, Larry Lutton can now easily get off the shore even in remote waters, expanding his opportunities to connect with trophy fish. In addition to the PackFish7™, Larry Lutton also enjoys family time aboard his SE370. A TORN ROTATOR CUFF meant no more boating — then she started ROWING. SIDNEY STUFFLE: PUNCHING THROUGH TO BIG TIME FUN!